An excellent demonstration of the benefits of the Keder temporary roofing system has been on view during prestigious building refurbishment in Dorset. Modus Access UK, working with by specialist building contractors, Moulding & Co., installed by the Layher weather protection system in just eight days. The installation provided cover for the remedial carpentry work on the beautiful Grade II listed Cranborne Lodge in Dorset. 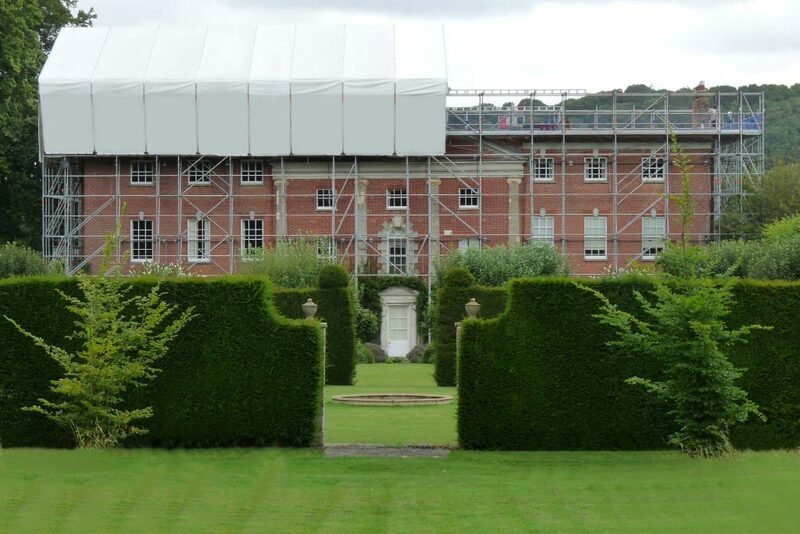 “The installation featured some 400m² of Keder roof system,” says Terry Sennett, Managing Director of Modus Access UK who worked closely with 48.3 Scaffold Design Ltd. to develop the optimum solution for this important refurbishment project.